XO Skins for iPad 2 Released, And You Can Win One! I think we all like some kind of protection on our devices, be it an iPhone or an iPad or even one of those "other" phones. 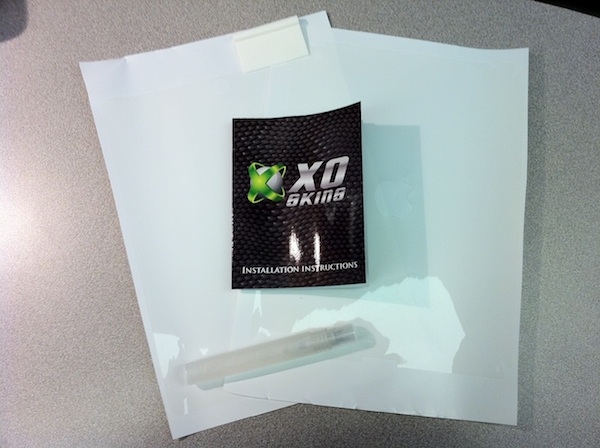 Over the years, XO Skins has provided extremely good scratch protection for a number of devices, not just Apple products, and they really cover the gamut from laptops to iPads to Blackberrys to iPods and pretty much anything in between. I've used their product on my stuff since the iPhone came out, and have always found their product to be top notch. 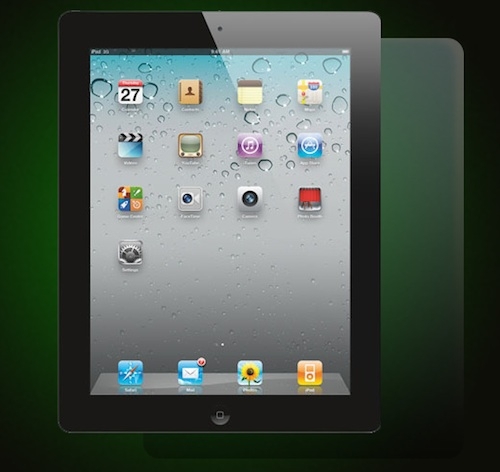 Now they have released protective skins for the iPad 2, so read on to see how you can win a screen protector for your iPad 2. Figure 1: Here is what you get in the box, pretty much everything you need for complete coverage. The skins are made from a polyurethane film, the same kind of protection that is used in the military to protect helicopter blades from damage and also by NASA to protect the space shuttles. It's for this reason that they do such a great job of protecting the finish of your electronic equipment, and they are custom fitted for each particular device. In the kit pictured above (this particular one is a full body kit for the iPad 2), they include two skins as well as the application liquid and a plastic squeegee to help force out the air bubbles. These are custom designed to fit the iPad 2 perfectly, and you can get either front, back or a both in a protector with a glossy finish. Applying the skins are simple. Make sure your device is off, clean the screen and the back (if you got full body protection) and then spray some of the applicator liquid on your fingers. At this point just peel the XO Skin from the paper and then apply more of the liquid to the skin. Once this is done, apply the skin to the device, and since it's a wet install you can slide the skin around until its in the right spot for coverage. Once that is one, use the squeegee and push out the excess liquid. Once the skin dries overnight the haziness you may see will disappear, leaving a clear screen that protects your device from scratches. You can see how well it works by watching the YouTube video below. XO Skins make a high quality product that is easy to install, custom fitted to the particular device you want and also comes with a lifetime guarantee. How can you go wrong? To top it all off, they are going to give away two screen protectors for the iPad 2, WiFi or 3G versions, for our lucky readers (US only). All you have to do is reply to this Quick Look in the forum and we will do a random drawing at noon Pacific time on Friday, July 1 2011. Remember, if you are new to the forums, give it 72 hours for your post to show up. Winners will be notified via PM in the forums so make sure your notifications are set so you get email alert to new messages. Winners will also have 72 hours to reply in order to get the code or another name will be drawn. Good luck and thanks again to XO Skins! If you use Twitter, help us out by following @tmAPPLETHOUGHTS and retweeting the contest announcement! Jeff Campbell is a 911 Dispatcher by trade, and is a fan of all things Apple. Some may say he is a fanboy, but he prefers to call himself a buyer of quality products. He lives in the Portland area with his 17 year old daughter and 3 legged cat called Tres.